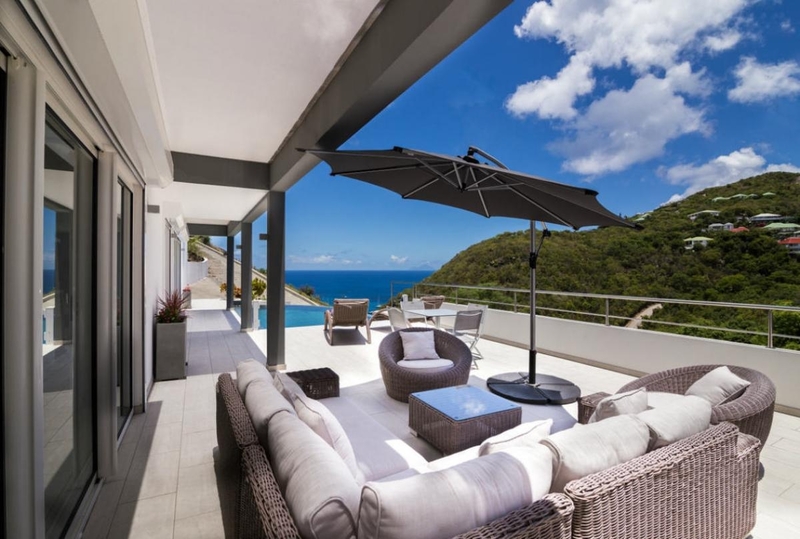 Angel Sunset is ideal for a honeymoon or anniversary trip because of how it’s positioned near Gustavia, Flemish, and Colombier. Clients say it’s difficult to leave after a romantic week away! This intimate villa has everything a couple could want: open floor plan, bedroom with a view, and just 5 minutes to the beach, restaurants, and town. Perched on the Columbier hillside, Angel Sunset offers sunset views over the ocean for romantic evenings. The villa features an open living and dining area, as well as an infinity pool and lounging area. The kitchen is well-equipped and includes a bar for dining or extra cooking space, while the living room has a TV with DVD player for nights in. The master suite includes an ensuite bath and a sunny terrace. Walk down to nearby bakeries, or hop in the car for a quick drive to Corossol Beach, where villagers weave baskets and fish as they have for centuries. A villa representative will meet guests at the airport and will follow them to the car rental company and then lead them to the villa. Toddlers and children older than 5 years are welcome.